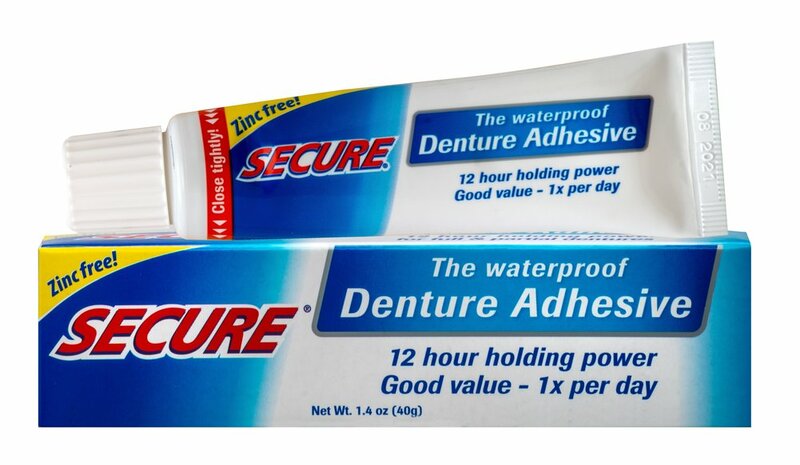 Secure is the only known denture adhesive that is waterproof. 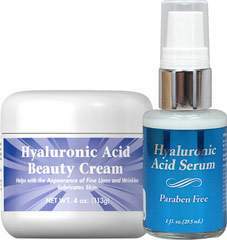 This means it won't wash away when eating or drinking like suction based brands. 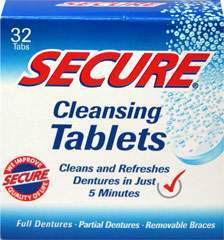 It forms an extremely strong bond with gums to provide all-day hold...keeps dentures from loosening for up to 12 hours...and prevents the discomfort of food particles getting trapped under dentures. Due to higher consistency, you use less. Secure, so it's economical. 100% Zinc-free and taste-free, it's a new experience in dentures.